Welcome to MOLLY MAID of Mount Prospect and Elk Grove Village! We have been serving Suburban ChicagoLand for over five years and are eager to have you as our next customer! Our fully trained maids come prepared daily in uniform and a Molly Maid car. Our Elk Grove Village office is staffed 6 am to 5 pm, and we are ready, willing and able to respond to the changes in your life that necessitate changes in your scheduled cleanings. You can depend on us, and you can reach us when you need us! You will be pleased with the quality of our cleaning and just as pleased with our responsiveness to your needs. Why should I choose Molly Maid? Our customers choose Molly Maid because our in-home estimator methodically explains our cleaning program, our pricing, and our scheduling. Our customers also choose us because our in-home estimator does not leave the home until all questions have been answered. What if something gets broken during the cleaning of my home? Our Molly Maid teams are insured, and our owners Steve and Nancy LeCount will be quick and thorough in responding to any in-home accidents in which damage occurs. What if I need to change my scheduled cleaning date? A simple phone call to our local office is all you need to make, or for after hours, leave a message with our national Molly Maid call center. We are in the office at 6 am each day and make necessary scheduling changes to accommodate your ever-changing life. It is our pleasure to service the suburbs west of Chicago and surrounding O’Hare airport. We service Elk Grove Village, Mount Prospect, Des Plaines, Itasca, Addison, Wood Dale, Glenview, Prospect Heights, Rosemont, Bensenville and all of the surrounding areas. Community involvement means a lot to us as well. 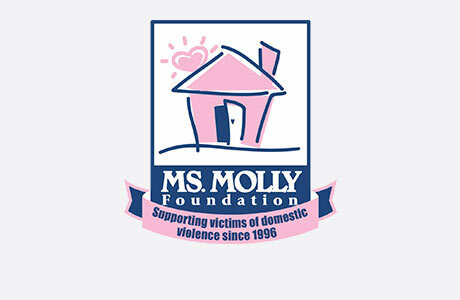 We support, through the Miss Molly foundation, WINGS, a local organization which supports victims of domestic violence. Are you looking for a quality maid service in the Suburban ChicagoLand area? Look no further! Give us a call today at (847) 513-9058!